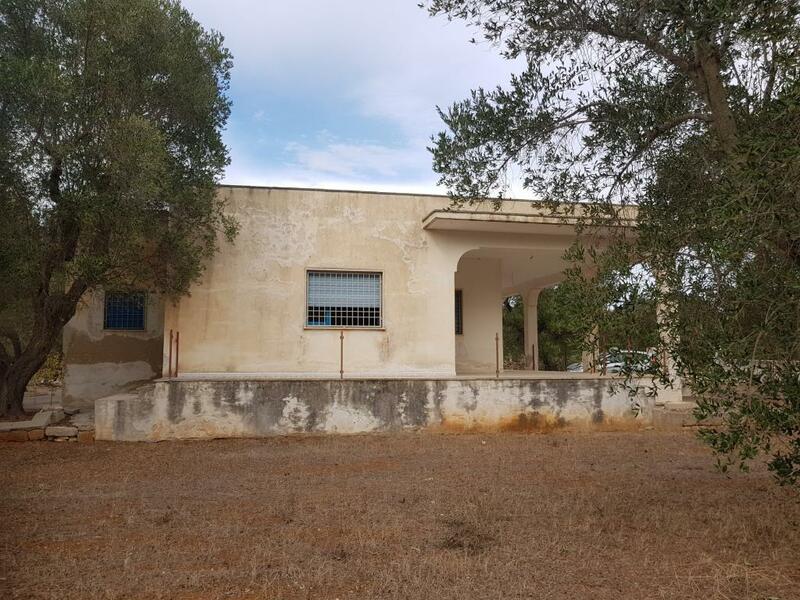 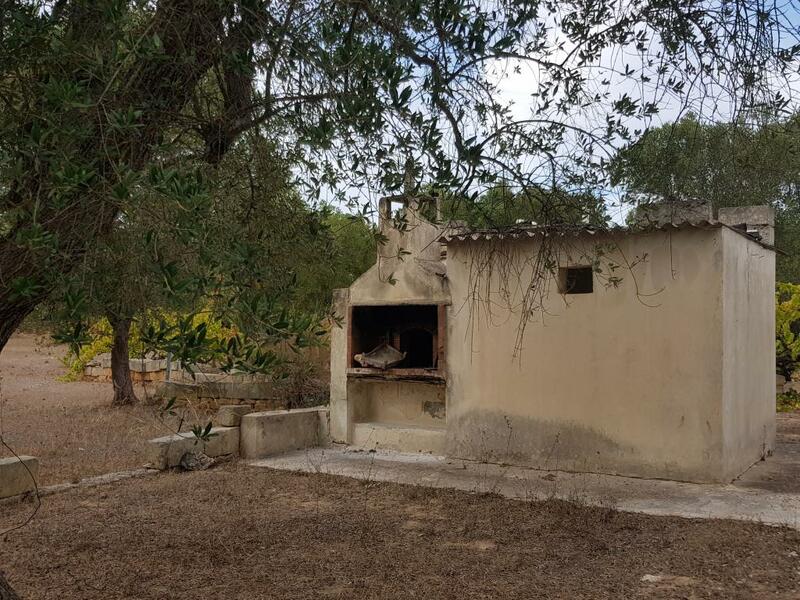 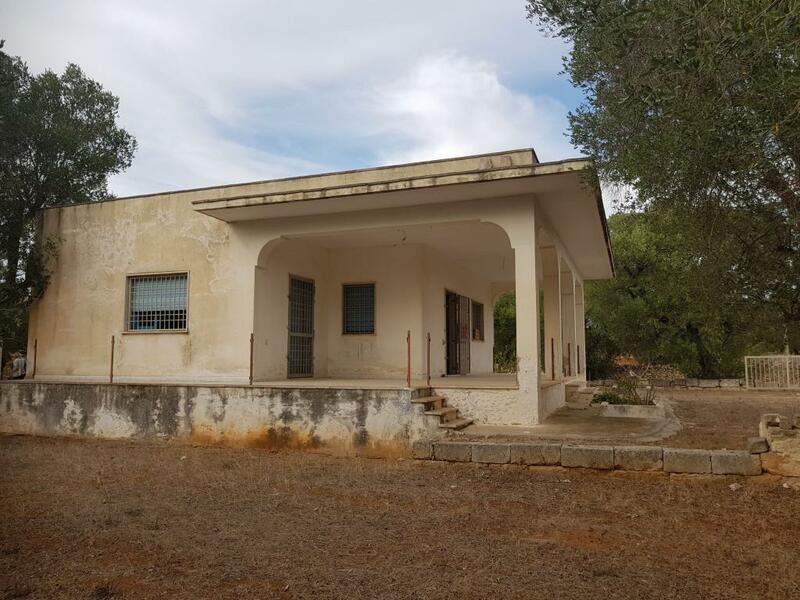 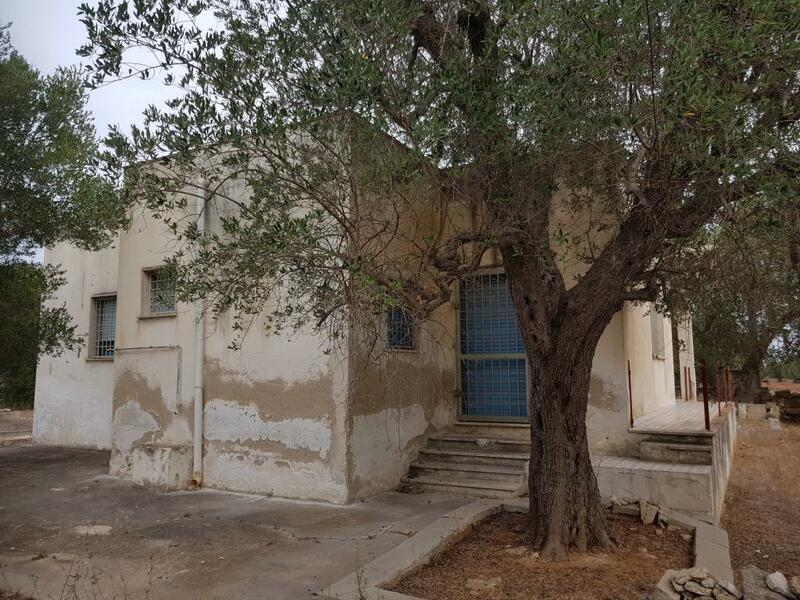 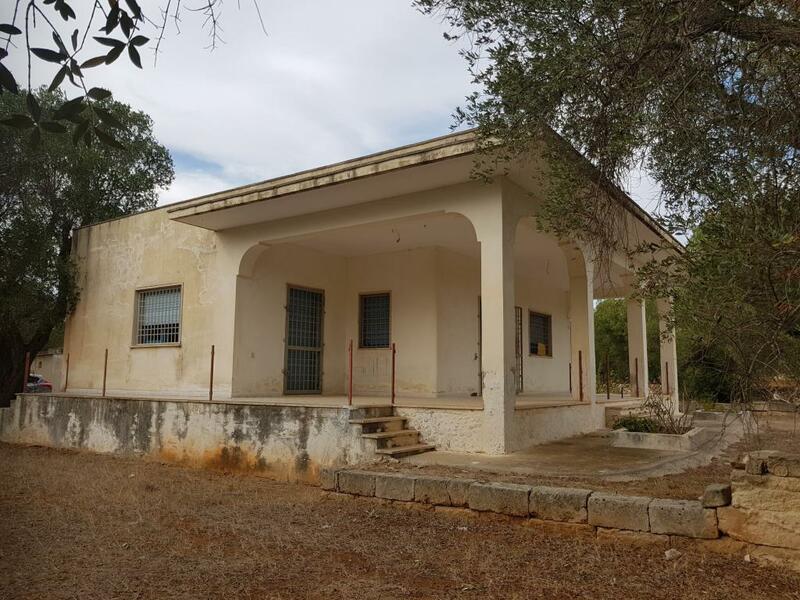 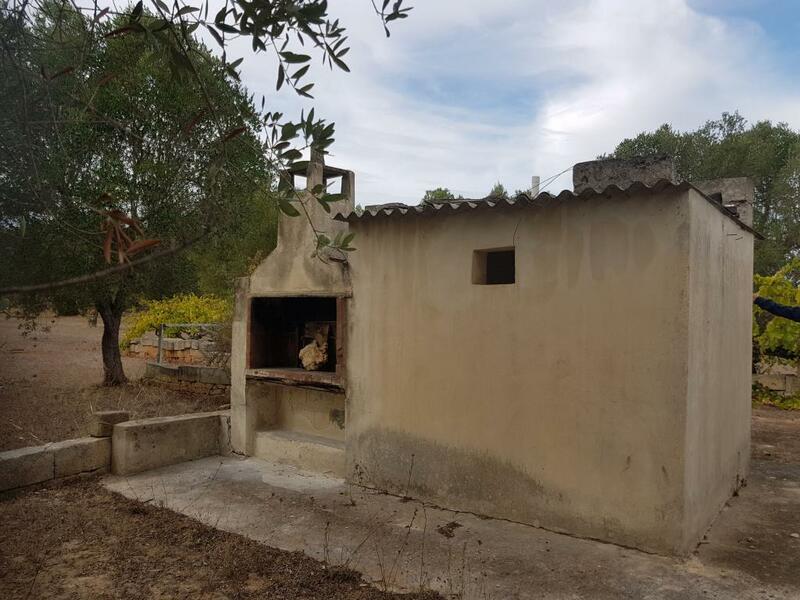 Just 900 meters from the beautiful sea of the Ionian coast – Salento, located in the full Apulian countryside among trees of ancient olive trees, dry walls and prickly pears, it is sold large and bright, in Specchiarica in the countryside of Manduria. 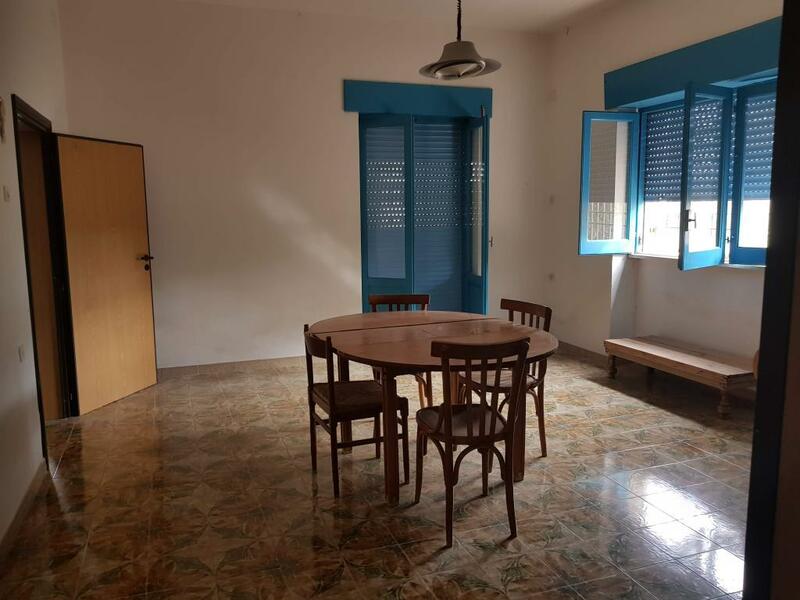 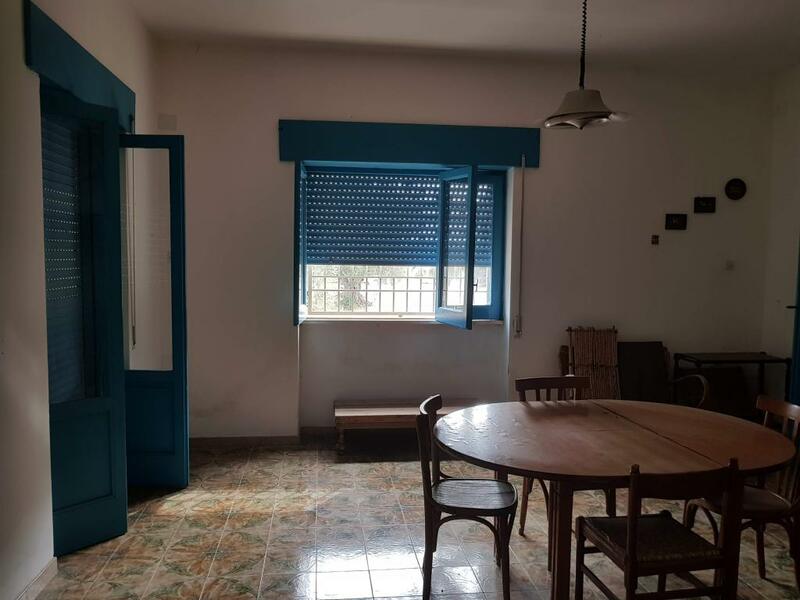 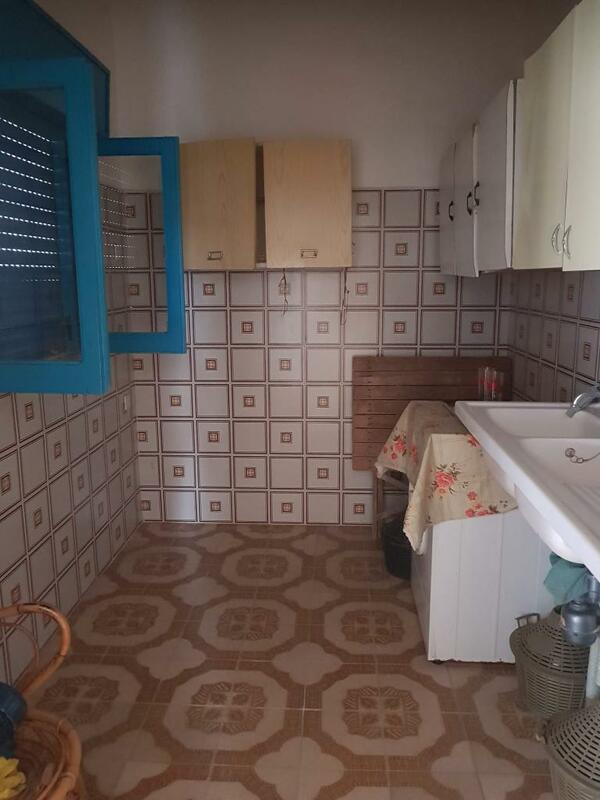 The property is spread over a total area of about 125 square meters and consists of a large living / dining room, kitchenette, bathroom and two 2 bedrooms and, outside, a large veranda. 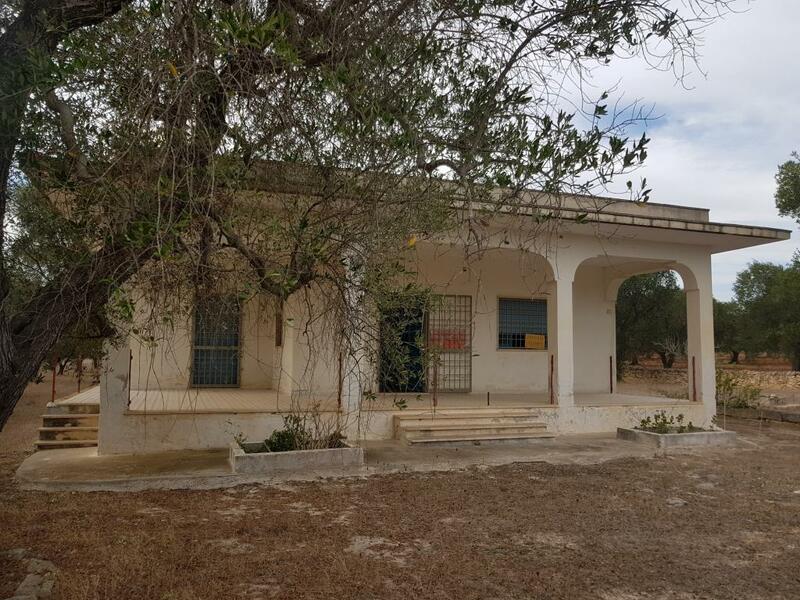 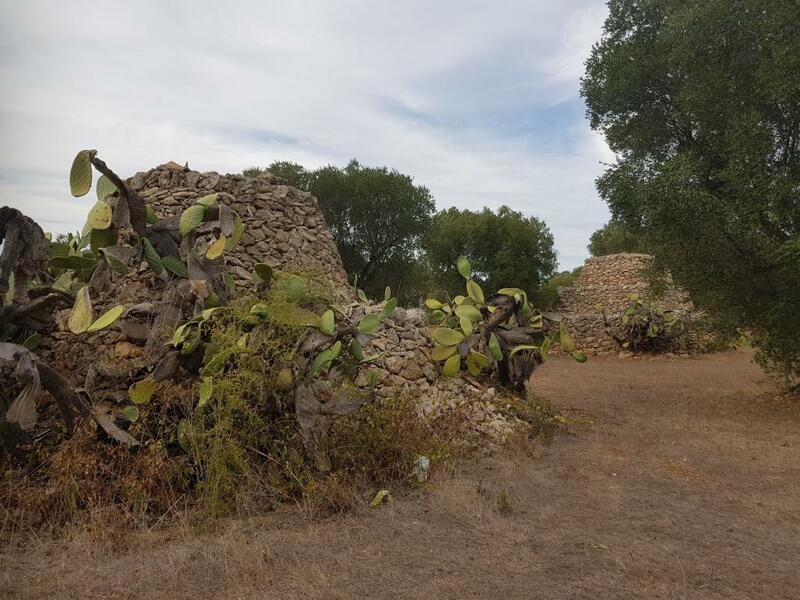 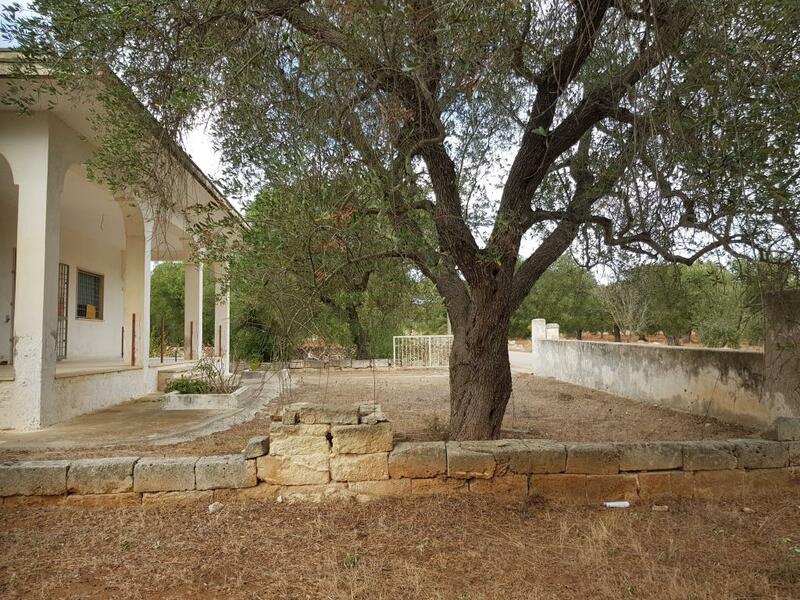 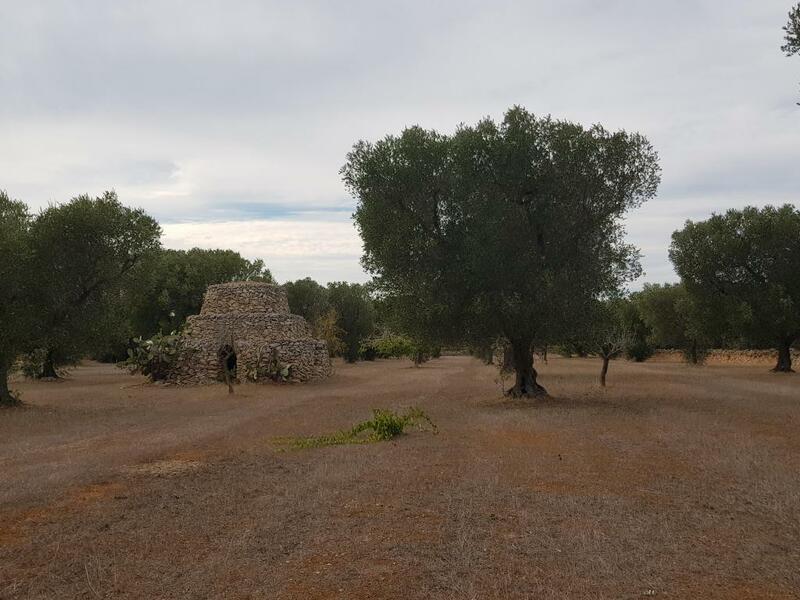 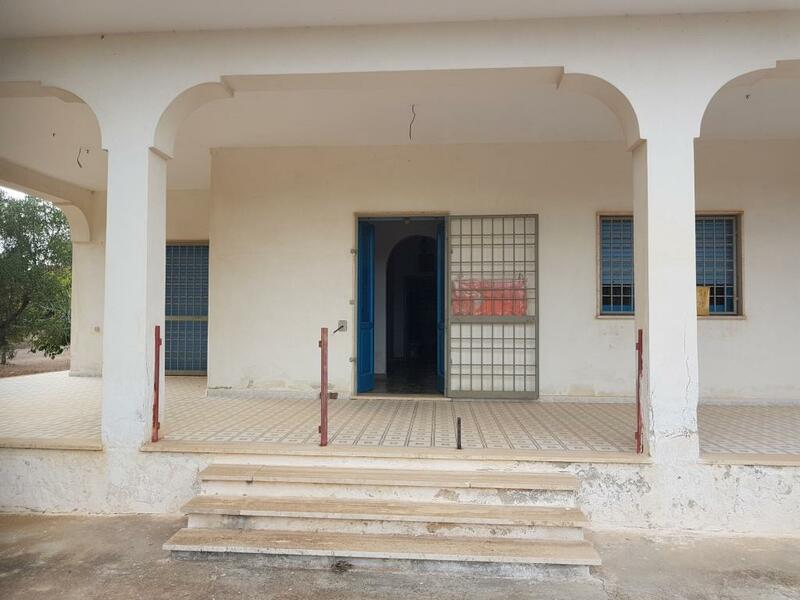 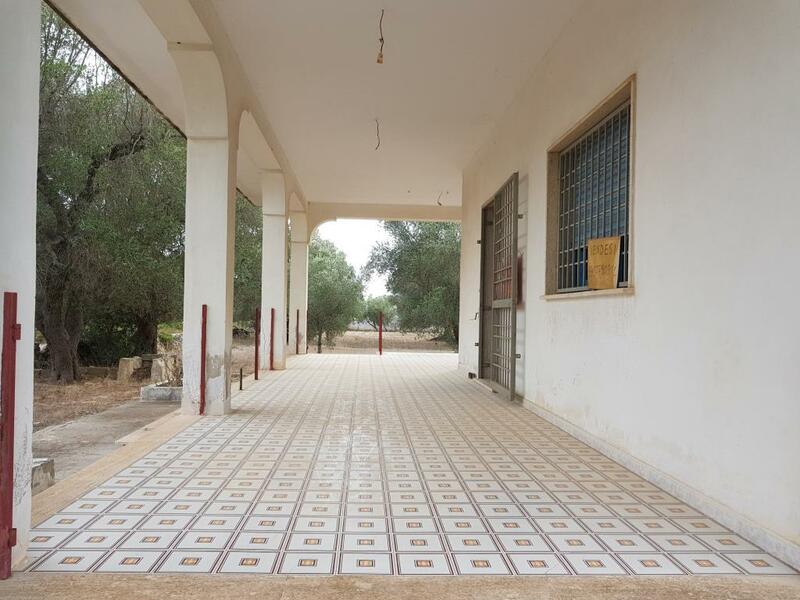 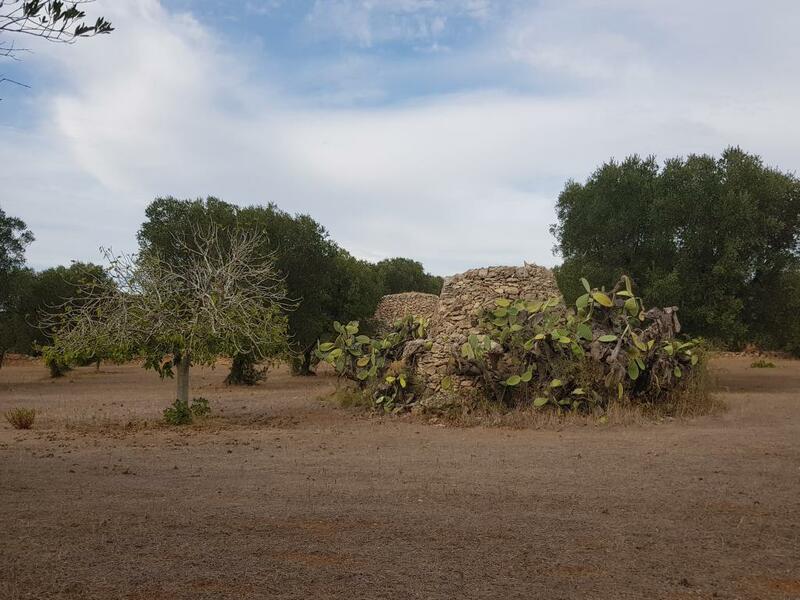 Together with the building, land is sold for a total area of 18,000 square meters, enriched by the presence of two trulli, perfectly maintained, with a surface area of about 20 square meters each. 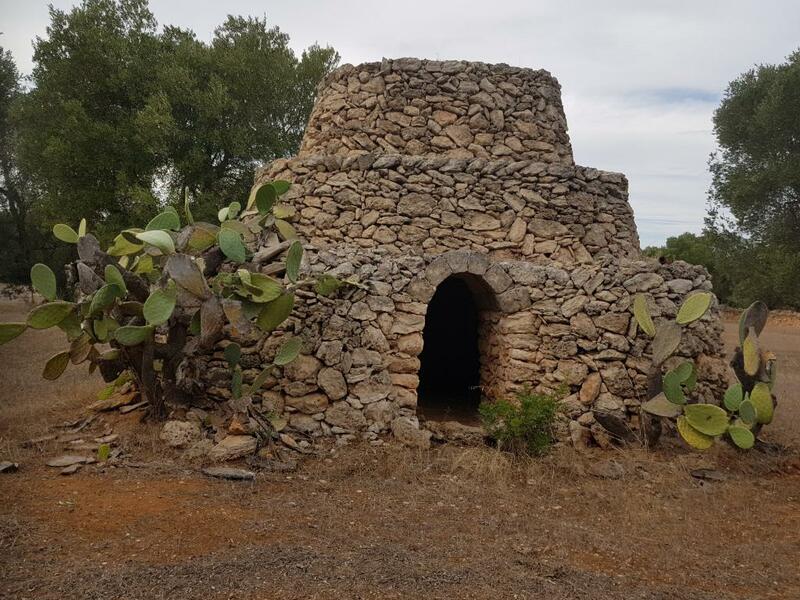 These traditional buildings, if properly recovered, could be used as dwellings for guests or even as accommodation for a refined and exclusive B & B. 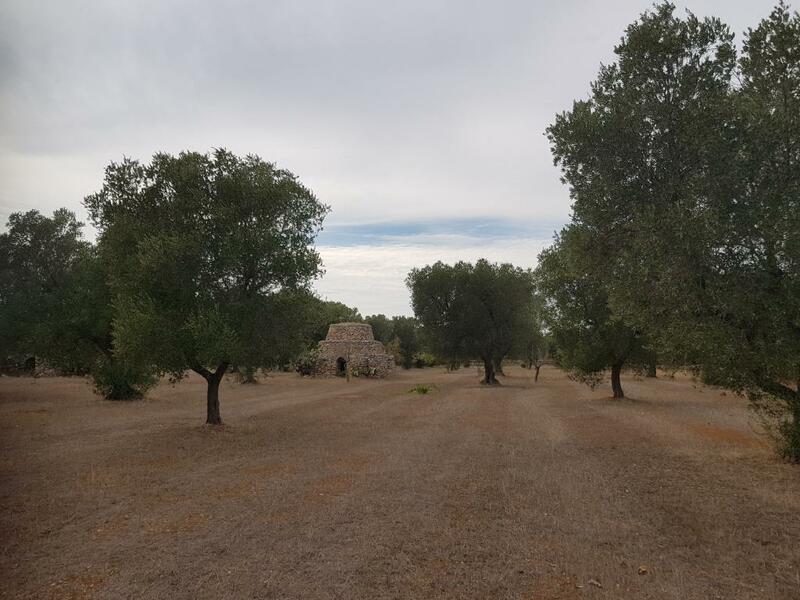 The surrounding land is cultivated with olive grove with about 120 trees of which at least half are centuries old; besides, they insist almond trees and prickly pears. 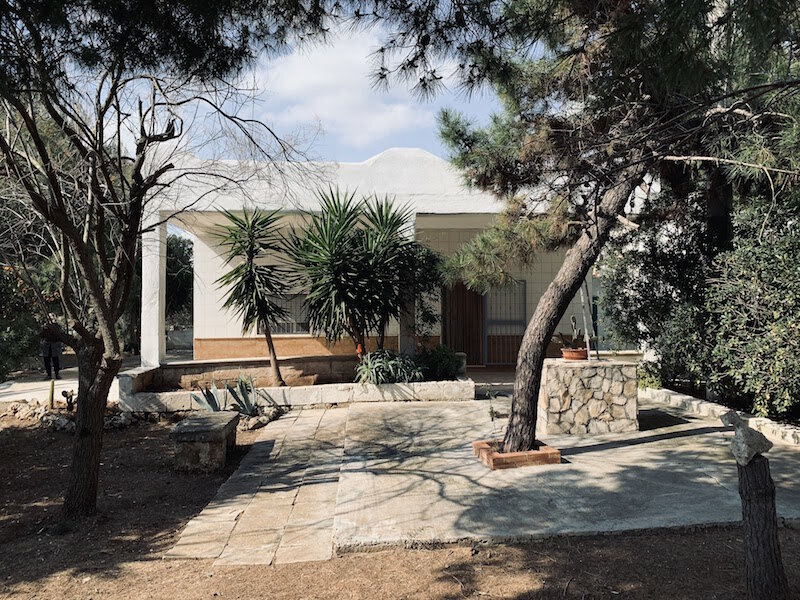 Regularly connected to the electricity grid, for the water supply, the property benefits from the presence of an artesian well and a cistern. 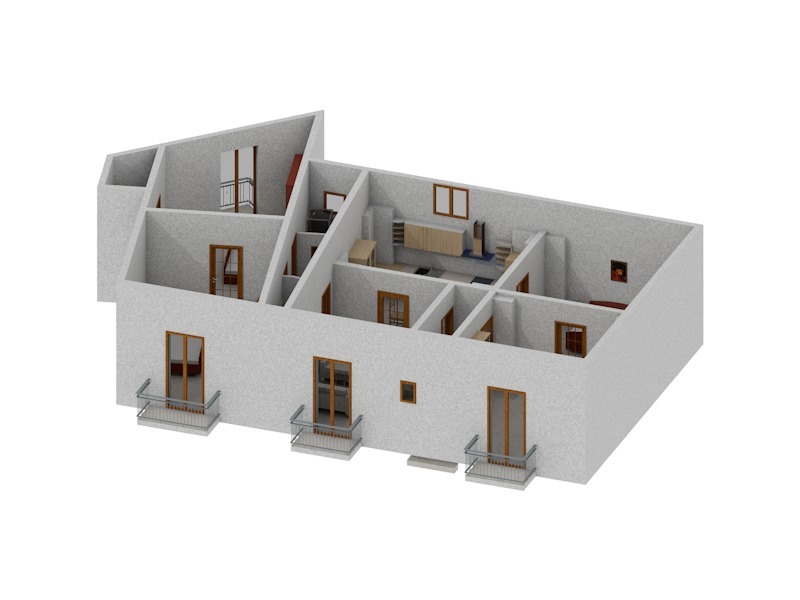 From the urban point of view, the building is stacked and in compliance with building regulations.